The patient is deep asleep and pain-free (general anesthesia). 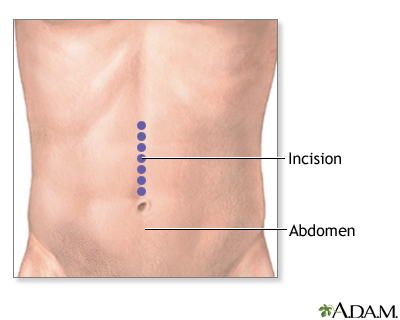 An incision is made into the abdomen. 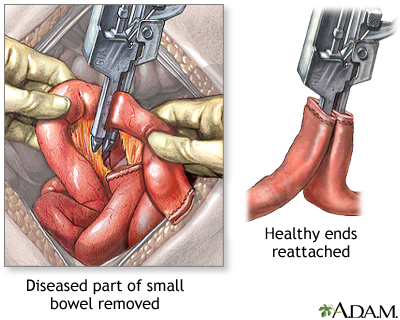 The diseased part of the small intestine (ileum) is removed. The two healthy ends are then sewn back together and the incision is closed. If it is necessary to spare the intestine from its normal digestive work while it heals, a temporary opening (stoma) of the intestine onto the abdomen (ileostomy) may be done. 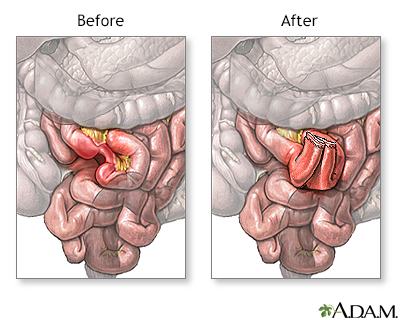 A temporary ileostomy will be closed and repaired later. 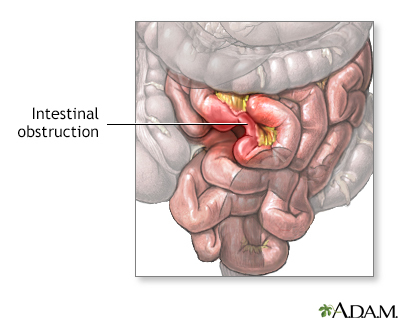 If a large portion of the bowel is removed, the ileostomy may be permanent. 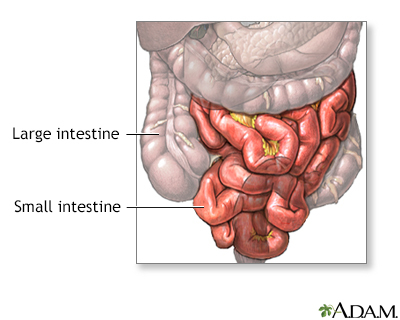 The ileum absorbs much of the fluid from foods. When the large intestine is bypassed by an ileostomy, the patient should expect liquid stool (feces). The constant or frequent drainage of liquid stool can cause the skin around the ileostomy to become inflamed. Careful skin care and a well-fitting ileostomy bag can reduce this irritation. The outcome depends on the disease. Most patients will stay in the hospital for 5 to 7 days. Complete recovery from surgery may take 2 months. During the first few days after surgery, eating is restricted.